A visual check for missing roof shingles doesn’t have to be dangerous. The truth is walking around on your shingles could cause them to break. There are safety benefits to keeping both feet on the ground too. When in doubt, ask a professional roofing service for help. A drone gets up close, even in the corners of your roof. However, a common pair of binoculars can also suffice. How Do I Know If I Have Missing Roof Shingles? Shingles are the rectangular pieces of asphalt-coated material that cover the wooden roof of your home. They help deflect light and harmful debris. They keep out wind and all types of precipitation. A sturdy roof is also your first defense against birds, rodents and other pests. Missing shingles allow all kinds of problems into your home. It’s important to replace them as soon as they go missing. With a set of binoculars, survey the roof from left to right and from top to bottom. Look at each shingle to make sure they are sitting flat on the roof and are in solid condition. It’s normal for new roofs to lose some of their granular asphalt coatings. Don’t worry if you find some granules in your gutters after completing a new installation or repairs. But if your roof is older and losing its coating, it might be time to replace the balding shingles. 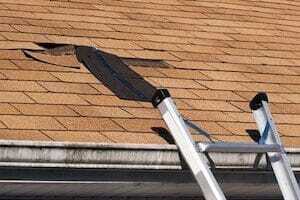 It will be obvious if a shingle is missing or severely damaged. Just as a missing puzzle piece leaves a gap in a jigsaw puzzle, a missing asphalt shingle leaves a hole in your roof’s cover. What Are More Signs of Missing Roof Shingles? Missing roof shingles allow moisture and pests into your home. It’s pretty common to notice these problems before you realize your roof needs work. But missing shingles aren’t the only possible causes. Getting an accurate diagnosis can be tough. Professionals usually identify roofing problems faster than property owners do. Even DIY enthusiasts might struggle to determine a cause. Once your roofer sees a red flag, you can get started on affordable repairs. That ounce of prevention goes a long way when the integrity of your home is at stake. Professional roofers quickly, safely check the security of your roofing shingles and make sure they’re all securely in place. Reputable companies also have insurance to handle any mistakes they might make. Amateur roof repairs get expensive quickly if you make the wrong move. Repairing and replacing single roofing shingles is one of the easiest ways to preserve the integrity of your roof. A new roof should last a decade or more, but it won’t happen without proper maintenance. Roofing that’s allowed to fall apart one shingle at a time will not provide you with the protection or the energy efficiency you deserve. At the same time, a total roof replacement is quite expensive and is typically not needed unless a large portion of the roof has become compromised. If your roofing starts to resemble a patchwork quilt, a replacement is in order. Needing to replace one or two shingles is nothing to worry about. 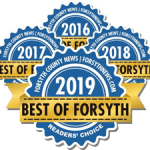 A qualified roofing company will provide you with an honest assessment of the health of your roof should you ever need one. Replace missing roof shingles the right way, right away, with help from our expert team at Hopewell Roofing & Restoration. Contact us at the first sign of a problem so you can continue to benefit from your roof with as little investment as possible.